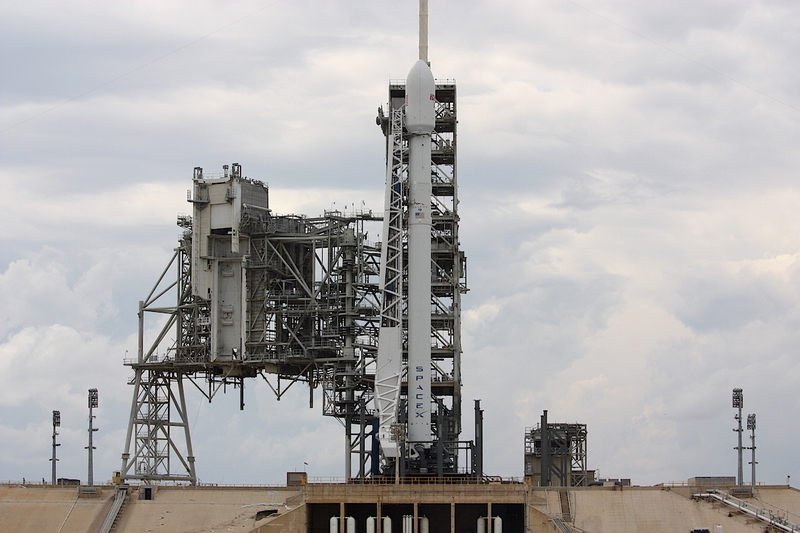 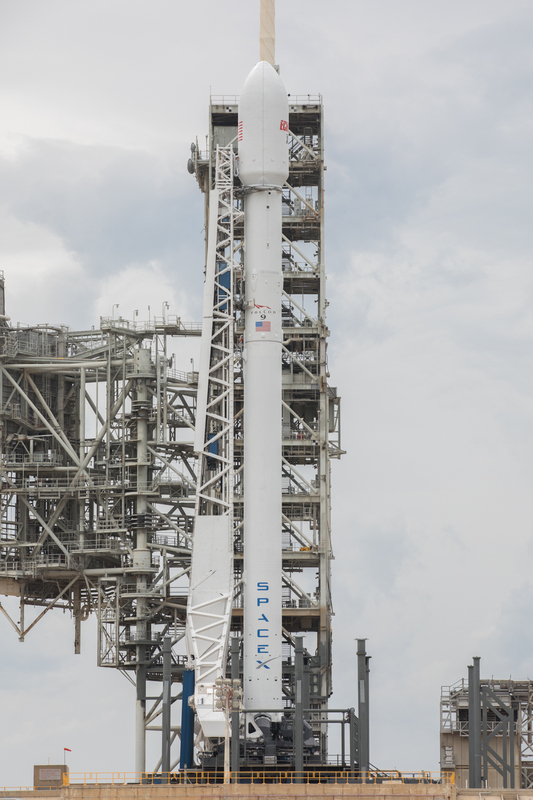 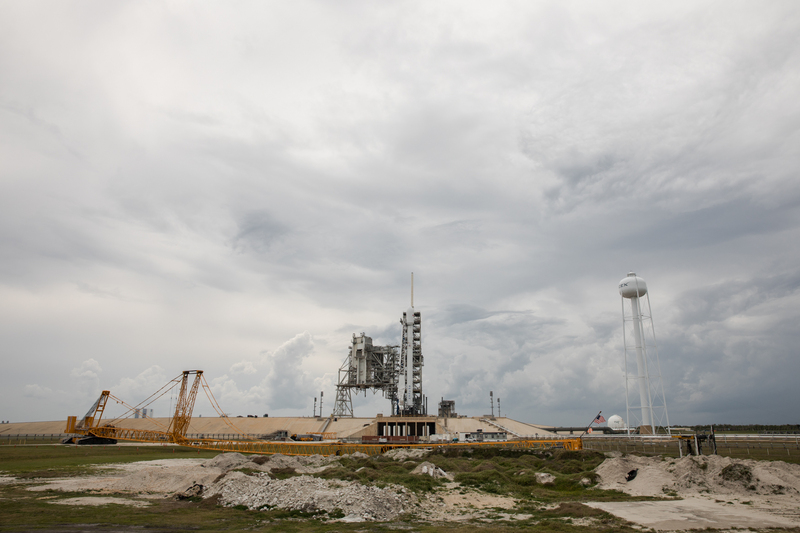 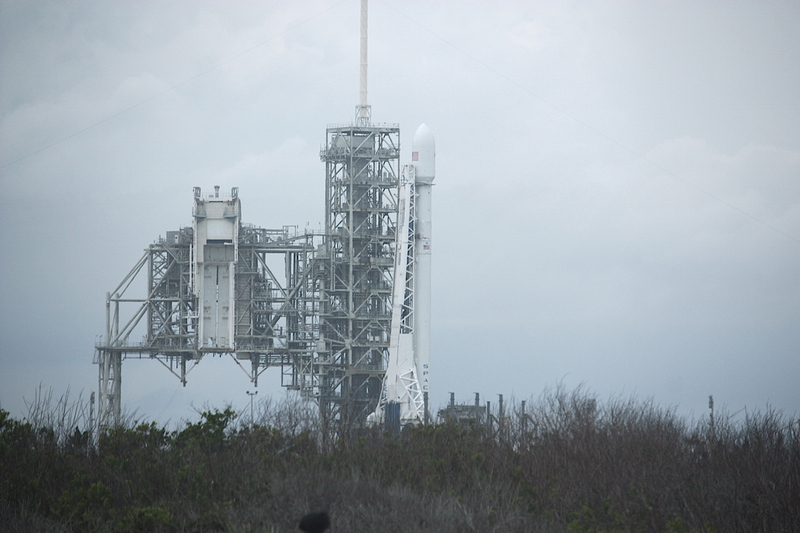 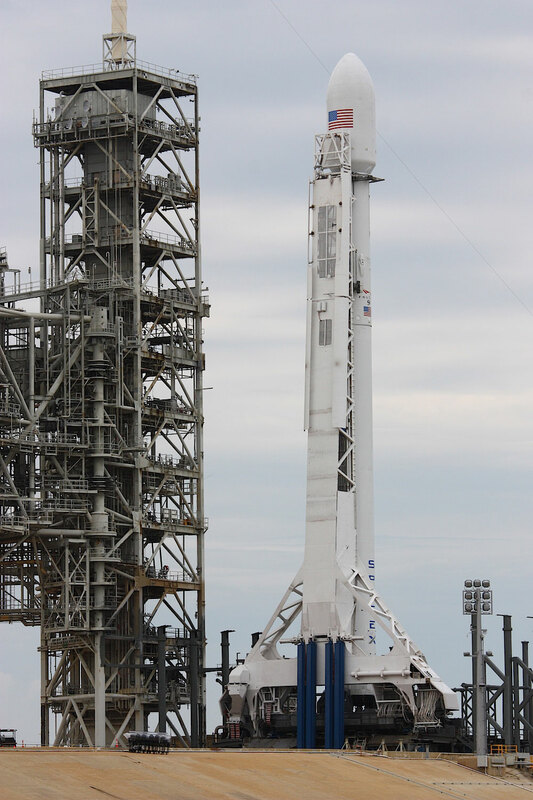 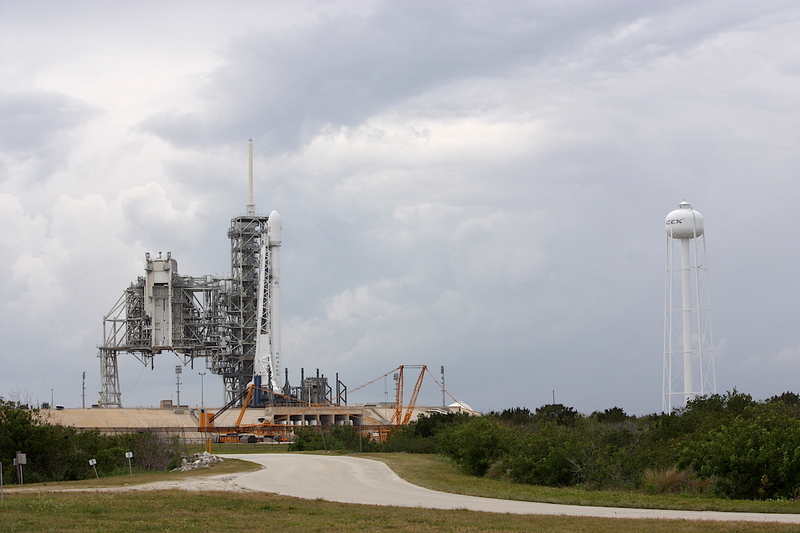 A 229-foot-tall (70-meter) SpaceX Falcon 9 rocket stood on launch pad 39A at NASA’s Kennedy Space Center on Monday afternoon on the eve of a scheduled blastoff with the EchoStar 23 television broadcast satellite. 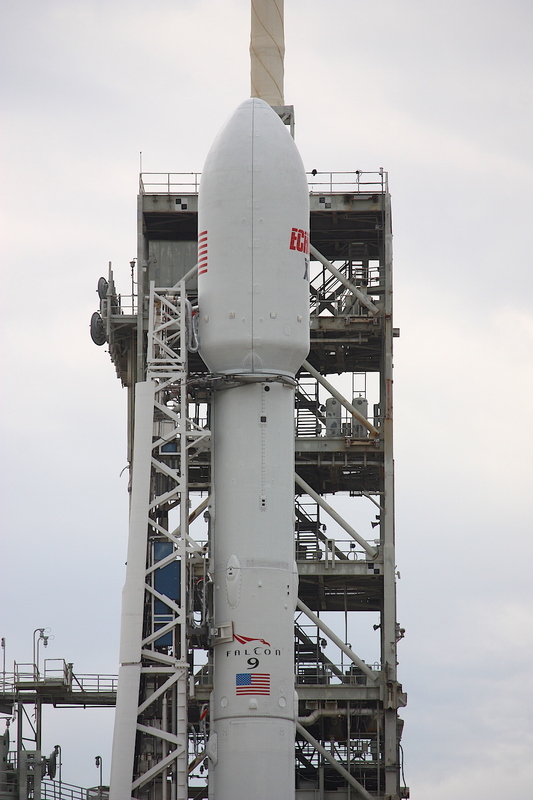 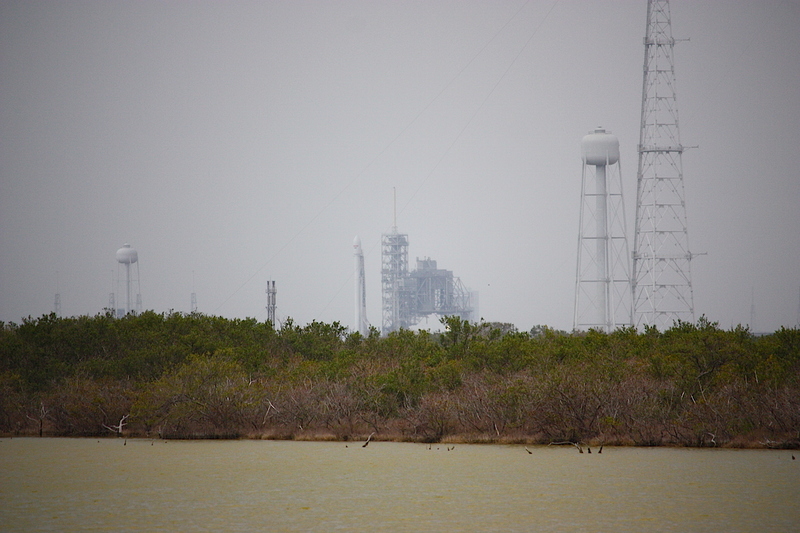 The two-stage rocket will fly without the four landing legs and grid fins normally carried on Falcon 9 missions. 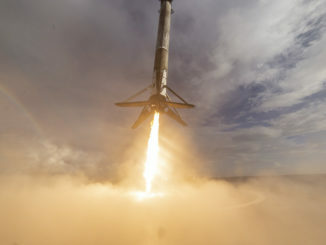 That’s because this rocket’s first stage will not attempt a landing at sea, instead plummeting into the Atlantic Ocean in a practice normally used on expendable launchers. 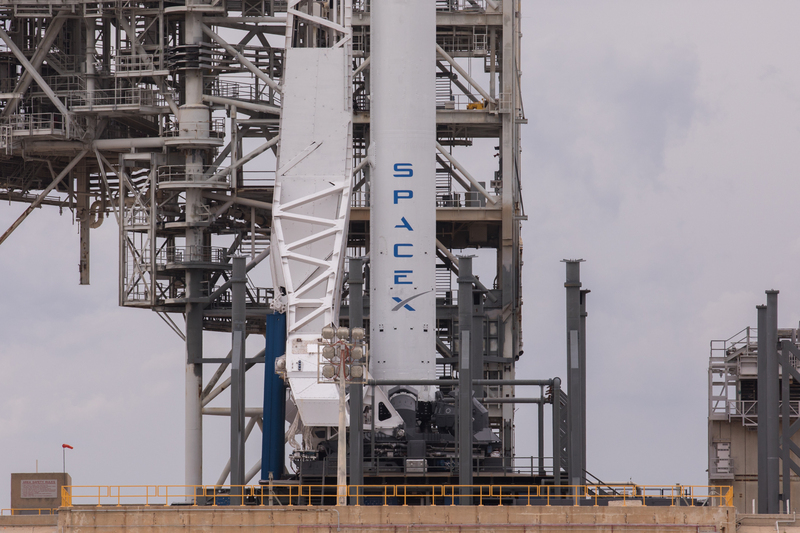 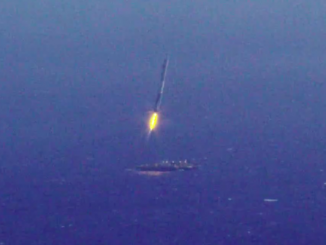 SpaceX has recovered eight first stage boosters in 13 tries since early 2015. The launch of EchoStar 23 requires all of the Falcon 9’s lift capacity, leaving insufficient leftover RP-1 kerosene and liquid oxygen propellants to reignite its Merlin engines and slow down for landing. 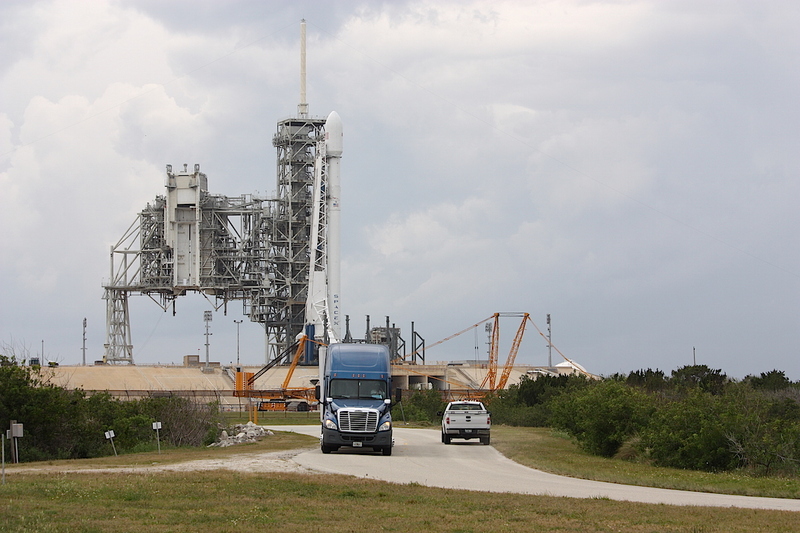 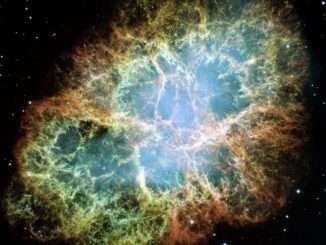 The company intends to launch a previously-flown booster for the first time before the end of March on a flight from Florida with the SES 10 communications satellite. 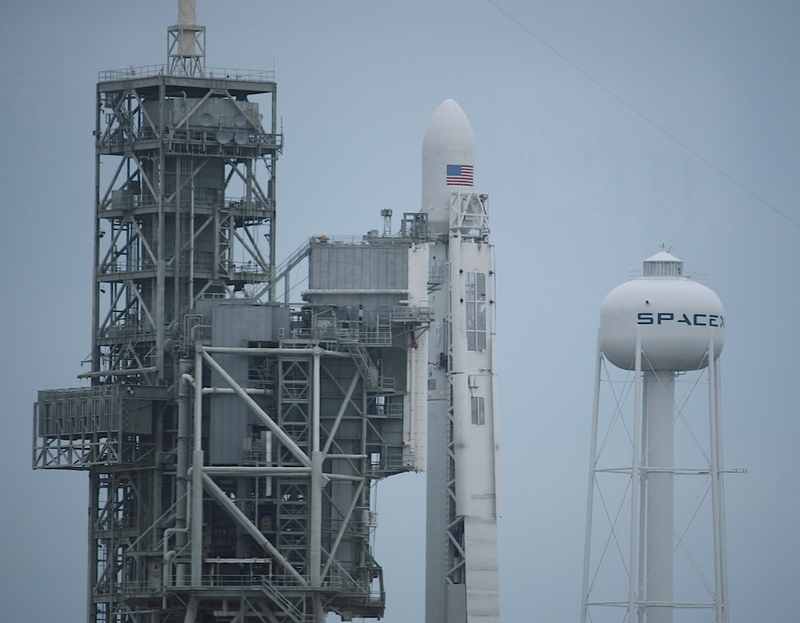 SpaceX believes reusing the rocket stage will reduce the cost of launch services. 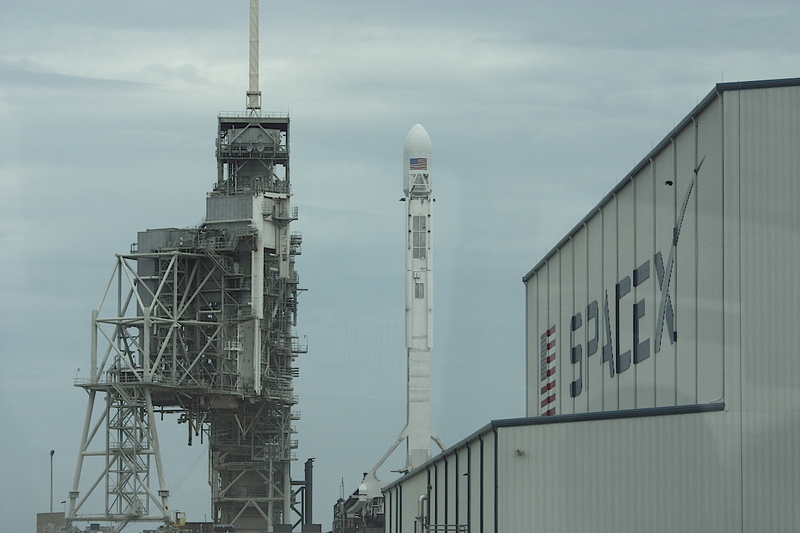 The EchoStar 23 communications satellite, cocooned inside the Falcon 9’s nose cone, is beginning a 15-year mission broadcasting television programming across Brazil. 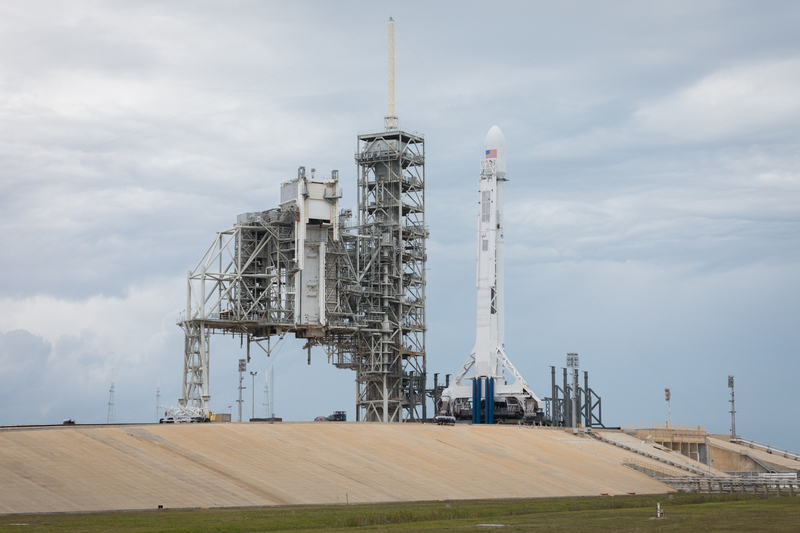 The EchoStar 23 launch will mark the 31st flight of a Falcon 9 rocket, the third Falcon 9 mission of 2017, and SpaceX’s second mission to take off from pad 39A.